When it’s time to get rid of your old IT equipment, how do you know what to sell, what to recycle, and what to dispose of safely? Try this guide to learn the next steps. The United States alone generates over 250 million tons of waste. For many who are conservation-minded, knowing exactly what to recycle can be a mystery. Especially when you’re dealing with old, unused IT equipment, you may feel a little bit lost. Can you just throw it in the trash? Can it be recycled? Can you sell it? Can you re-use it? There’s a lot to consider, so take a look at our guide here on what to do and not do when getting rid of old IT equipment. 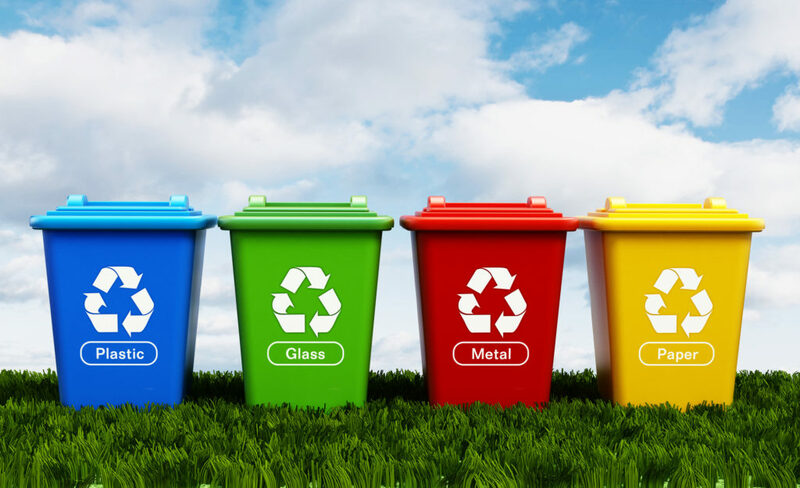 It’s no wonder most nations around the world encourageÂ their citizens to recycle and dispose of waste properly. The benefits of handling our waste are far-reaching, and disposing of it properly helps ourselves and the rest of the world all at the same time. It gets a little tricky with electronics, though. As technology continues to exponentially develop and improve, the need to stay up-to-date means we end up with lots of old electronic equipment hanging around. Electronics are among some of the few things you can’t recycle like any other object. Simply throwing it in a bin and putting it to the curb isn’t a good idea. First and foremost, don’t just throw away your old equipment. Whether you’re dealing with computers, TVs, phones, or networking equipment, these items are filled with chemicals like mercury, arsenic, and lead. These toxic chemicals should never make their way to a landfill. These elements can be dangerous when mixed with our ecosystem and can hurt plant and animal life as well as our food industry. Even regardless of conservation issues, though, simply tossing your equipment out is dangerous for the safety of yourself or your business. Security and financial information and other important data may be recoverable from old IT equipment. Not even resetting a device can fully remove this information. “Can you throw electronics in the trash?” is a common question, because most people don’t care anyway and just want the easy way out. We’ll look at these options a little closer. Selling your used electronics equipment is certainly an option. When someone gets a new smartphone or buys a new computer, they usually first look to see how much money they can get out of the old one. It’s a good way to balance out the (often) high cost of brand new equipment. This can be difficult, though. If you don’t already know someone willing to buy, then you need to research how much they are going for, put together proper listings, and wait. Sometimes, you’ve got to wait a while, too, if it’s not a popular item. For a lot of businesses, or people dealing with large amounts of IT equipment, this simply isn’t a viable option. With so many electronics to move at once, you may be limited. One idea is to simply upgrade your old equipment. Not all electronics are designed to be upgradeable, but some are. For example, if you just need a faster computer, upgrading your CPU or RAM can make a huge difference. If the design of the body of the equipment itself is not an issue, consider replacing the internals. This can often be a cost-effective way of getting more performance out of old equipment. Maybe you know someone who could use your old equipment, regardless of how old it is. Why not get into the giving spirit? You could make someone’s day or even their whole year! Do some research on charity organizations that accept used electronics. Be aware, though, that as technology advances, some equipment is so old that it’s virtually not even usable by some charities. If your laptop, for example, can’t even run the most up-to-date operating systems or sits on less than 1 GB of RAM you might be a bit out of luck, regardless of your charitable nature. There are companies and organizations out there that specialize in recycling old electronic equipment. So-called electronic waste recycling bins do exist, and some resources such as Waste Management can help you find some of these drop-off centers. Other companies are actually certified to buy used IT equipment. This is a great option for businesses that are liquidating old devices and need to move things in bulk. When going this route, you need to consider a number of important factors, though. For example, is the company certified in any way? Are they part of any groups or alliances of other equipment dealers who stay updated on best practices? For your and your business’ own safety, make sure you ask about their security measures. What do they do with the equipment when they receive it? Do they assume you will wipe the devices on your own or do they have their own practices for clearing all data? Good communication is key, so you want to do your due diligence and ensure the company will work with you on all aspects. Some of these companies will even help you in other ways, such as paying for the shipping of the equipment when you are not able to visit them in person. These types of benefits are worth looking out for. When data and privacy is a primary concern, an electronics buyer is a fine option to take. Knowing what to recycle when dealing with a bunch of old IT equipment can be a confusing decision. Most people want to be responsible when dealing with recyclable equipment, but there are some do’s and don’ts for electronics in particular. You have options from upgrading to using specialized recycling centers, but when you’re dealing with bulk amounts of IT equipment, a buyer might be the best way to go. If you’d like to see how Net Equity can help you out, check out this helpful guide to our buying process!